Your group is about to embark on a journey of change. Each member will be responsible for helping to affect attitudes, knowledge and perceptions of the general public. How can this be done? It can be done through research, creativity, technology and team work. The first step in creating a PSA to help accomplish this change will be to choose a category from those listed in the TASK section of this webquest. Once you have agreed on the PSA category, use the research template to plan and organize your PSA. Once your research is done, choose an appropriate media-related software package to create an educational Public Service Announcement which can be distributed to local television and media outlets for use during Disability History Week. Phase 1--Choosing a PSA category. Once your group has read the article, choose one of the following categories for the development of a PSA. Read each category carefully. This will help you focus on the appropriate information for the writing of your narrative and identification of visuals for your PSA. 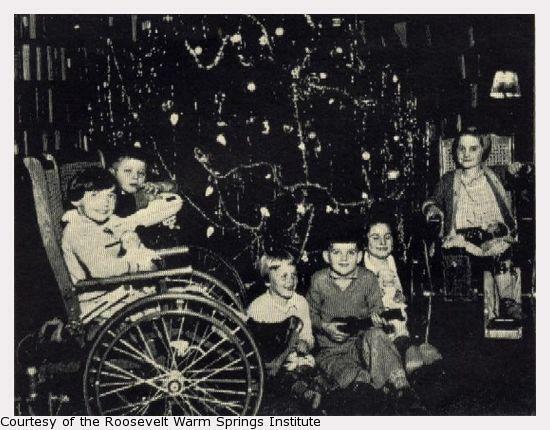 • IN THE PAST--The purpose of this PSA is to educate the public on historical methods used for the medical treatment, education and institutionalization of people with disabilities. In this PSA, it is important to note that these methods were used IN THE PAST and were the result of the best knowledge and information available at the time regarding treatment. The PSA narrative can be written in a chronological manner and should conclude with information on how previous methods differ from those used in contemporary times. • DID YOU KNOW--The purpose of this PSA is to educate the public on the role of advocates, educators and "role models" associated with people with disabilities. In this PSA, it is important to highlight the names and accomplishments of individuals who played a crucial role in the improvement of the quality of life for people with disabilities. The PSA narrative can focus on one individual or one area of improvement or can be a collection of individuals. • IT'S A LAW--The purpose of this PSA is to educate the public on important laws, civil rights and legal issues as they relate to people with disabilities. In this PSA, it is important to highlight the problems encountered prior to the passing of the law as well as improvements made as a result of the law. The narrative can focus on a specific law or a collection of legal rights and issues. • DON'T FORGET--The purpose of this PSA is to educate and sensitize the public on the role of people with disabilities in society. In this PSA, a reminder of the ABILITIES of people with disabilities and sensitivity issues should be the focus. Now that you have decided which PSA you will focus on, it is time to collect information and images. STEP 1. Click on the Attachment 1 to print a copy of the research template. STEP 2. Once you have completed STEP 1, the research for the PSA can be accomplished primarily from the sites listed below. Each site has extensive collections of images, information and resources that can help you. Remember to stick to your topic/theme and don't be afraid to "browse." STEP 3. Identify images and take notes on important information pertaining to your theme as you research. Use the research template to assist you. STEP 1. Click on the Attachment 2 template, which is a "storyboard" to assist you in the writing of the narrative as it corresponds to your images. STEP 2. Complete the storyboard template and narrative. Your narrative should begin with the words that identify the theme of your PSA (ex: "In the past...") and end with "Remember, the third week of October is Disability History Week." The template organizes the image(s) that correspond to the narrative. Keep the narrative brief but informative, as an image can say much. STEP 3. Rehearse the reading of the narrative with your group members. An entire PSA should last for 30 seconds, including narrative, music and images. Therefore, keep a running clock. Too little time (by a few seconds) is better than too much time as background music can be used to fill a few seconds. STEP 1. Identify the media-related software which is available to you. Quicktime, Movie Maker and Garage Band are some of the more popular software that allow the use and integration of images, music and voice. STEP 2. Choose appropriate background music. The music should be instrumental in nature and should not distract from the message being presented. The music can begin and end the presentation before and after your narrative; the music can also fill time/space between narrative sections.